Spring into Spring Fitness with the JTX1 Jogger/Trailer! 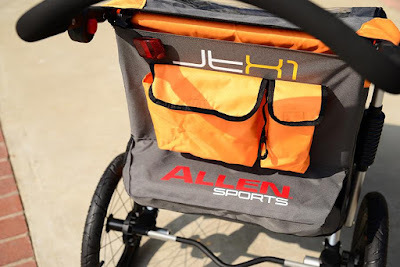 And for the days I feel like running with the kids or adding a little challenge to my run, I will be using the Allen JTX1 Aluminum 1-Child Jogger and Bike Trailer! It is perfect for running parents who don't want to leave their children behind on a beautiful day! Or if you are a biking aficionado, then this trailer is also for you! The Allen JTX1 Aluminum 1-Child Jogger and Bike Trailer offers the perfect 2 in 1 product for the active parent. 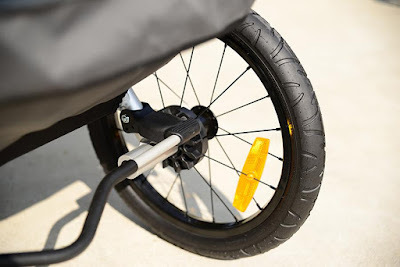 The item quickly sets up as either a fully functional swivel wheel jogger (with lockout feature to fix front wheel) or bike trailer right out of the box. 16" rear wheels and 12" front wheel (for jogger mode) deliver low rolling resistance and large front and side windows let your passenger enjoy the ride. An extra large interior compartment delivers lots of room for your little rider. 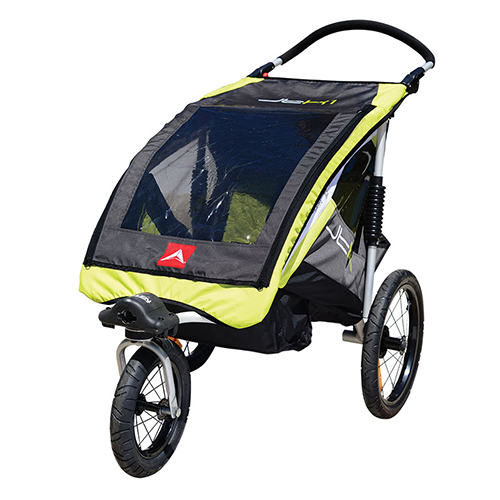 The JTX1 jogger/trailer includes a recessed foot area your children's feet and also comes with a removable three season bug and rain shield. Zippered panels on the Bug and Rain shield make for easy opening and closing. Two rear pocket offers extra storage. When not in use, the JTX1's folding design and quick release wheels offer easy storage and transportation. 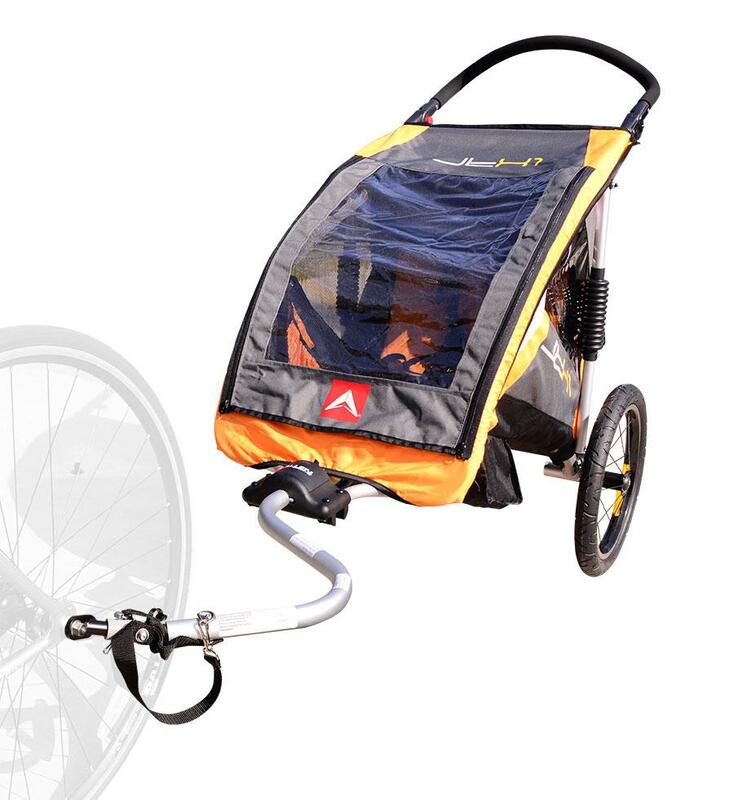 Optional Dual-Swivel Wheel attachment (sold seperately) allows the jogger to quickly convert to an easy to roll swivel wheeled stroller. I think these are great if you have the extra money and space for one, but knowing me I'd get it and use it like one time and then it would just collect dust. They're kind of like boats for moms, you buy them and imagine all the great fun you're going to have with them, then you use them like once and then they go into the garage for all enternity.